The Saler jacket has a classic preppy style. 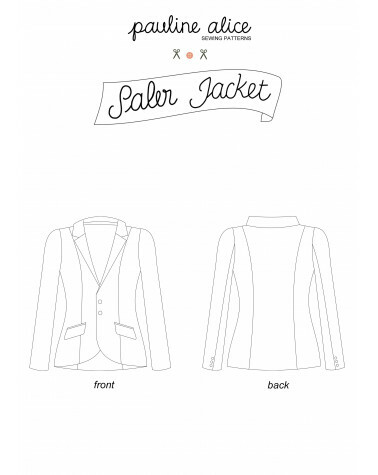 This tailored jacket is close fitting, lined, partially interfaced and has princess seams. Details include welt pockets with flaps, shoulder pads and two-piece sleeves with button vent. - 2 medium size buttons (approx. 2,5 cm (1”) wide), 6 small buttons (approx. 1,5 cm (5/8”) wide), shoulder pads, sleeve heads.